PHOENIX, AZ (August 8, 2018) – FastMed Urgent Care, one of the nation’s largest urgent care providers in the U.S., announced today that it has launched a new service – baseline concussion testing – across all its Phoenix-area clinics. A baseline concussion test checks current cognitive health conditions, especially critical for athletes at risk of head injury, which then establishes a baseline that can be tested against brain functioning after a head injury. According to the CDC, about 15 percent of high school students reported having at least one concussion related to sports or physical activity over a one-year period*. Developed by ImPACT Applications, Inc. and designed to serve as a “pre-injury” assessment, the computerized test offered by FastMed measures visual and verbal memory, reaction time, and processing speed. If a suspected head injury subsequently occurs, a medical professional can then compare the baseline test results to the child’s post-injury condition. The comparison of the two test results will then help direct concussion management, including a determination of whether it’s safe for the child to return to normal play. 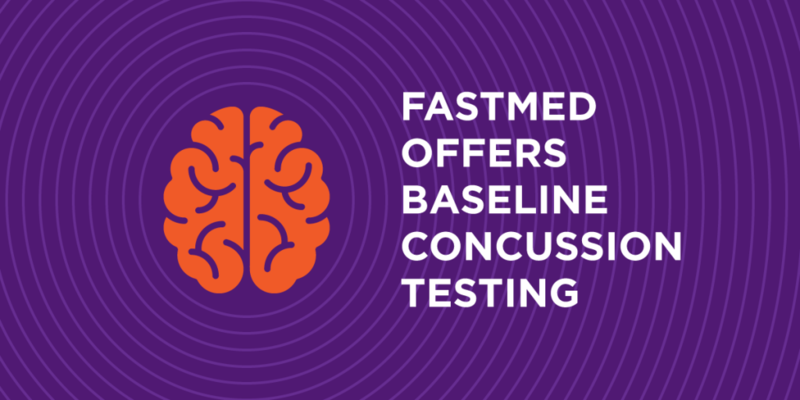 FastMed is now offering baseline concussion testing at all Phoenix-area clinics. As student athletes are preparing for the next school year, baseline concussion tests are offered at FastMed for just $10 in conjunction with any physical. when added to any physical. *Self-pay only. Cannot be used in combination with insurance or U.S. government health plans. Offer valid for one ImPACT Baseline Concussion Test per patient when combined with a physical, completed within the same visit.